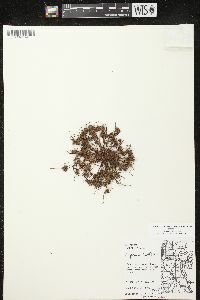 Herbs, annual, cespitose, with fibrous roots. Culms 1-20, trigonous, 2-16 cm × 0.5-0.8 mm, glabrous. Leaves 1-3, flat to V-shaped, (1-)5-10(-15) × 0.5-2.5 mm. Inflorescences: spike 1, loosely to densely ovoid to oblong, 6-20(-40) × 9-15(-20) mm; rays absent or 1-3(-6), 4-40 mm; bracts (1-)2-4, longest ± erect, V-shaped, 1-15 cm × 0.5-3 mm; rachilla ± deciduous, wingless. Spikelets (2-)6-20(-40), greenish to reddish brown, somewhat compressed, ovoid-lanceoloid to oblong, 2.5-10(-20) × 1.3-2.2 mm (excluding awns); floral scales deciduous, (4-)10-20(-34), greenish to stramineous or brownish red laterally, greenish medially, (5-)7-9(-11)-ribbed nearly to margins, oblong-lanceolate, (1.2-)1.3-1.8(-2.2) × (0.5-)0.7-0.8(-1) mm, apex cuspidate, excurved awn additional 0.5-1(-1.3) mm. 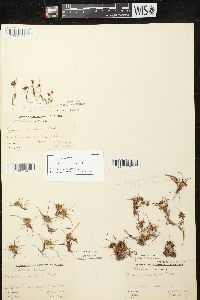 Flowers: stamen 1, filaments 1.5 mm; anthers oblong, 0.2-0.3 mm, connective apex reddish, minute; styles 0.3-0.5 mm; stigmas 0.4-0.7 mm. Achenes light brown to nearly black, stipitate, obovoid (occasionally linear-spatulate or linear oblong, infrequently constricted in middle), 0.7-0.8(-1.1) × (0.2-)0.3-0.4(-0.5) mm, stipe 0.05-0.1 × 0.1 mm, apex truncate, apiculate, surfaces papillose. Fruiting summer. Moist, disturbed soils, gravelly roadsides, flood plains, edges of puddles, muddy places; 0-2500 m; Alta., B.C., Man., N.B., Ont., Que. ; Ala., Ariz., Ark., Calif., Colo., Conn., Del., D.C., Fla., Ga., Idaho, Ill., Ind., Iowa, Kans., Ky., La., Maine, Md., Mass., Mich., Minn., Miss., Mo., Mont., Nebr., Nev., N.H., N.J., N.Mex., N.Y., N.C., N.Dak., Ohio, Okla., Oreg., Pa., R.I., S.C., S.Dak., Tenn., Tex., Utah., Vt., Va., Wash., W.Va., Wis., Wyo. 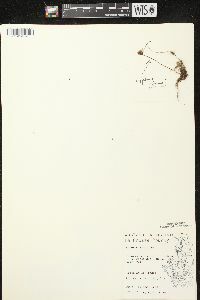 ; Mexico; West Indies; Bermuda; Central America; South America; Eurasia; Africa; Atlantic Islands; Indian Ocean Islands; Pacific Islands; Australia. Cyperus squarrosus can be recognized by its small size and annual habit combined with its oblong-lanceolate floral scales bearing five to eleven conspicuous ribs and excurved awns. 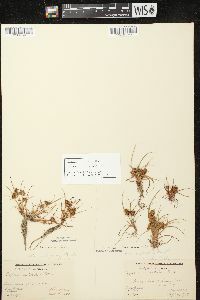 Some collections have been misidentified as C. acuminatus, an annual species of subg. Pycnostachys that has ovate-lanceolate, three-ribbed floral scales and digitately clustered spikelets. 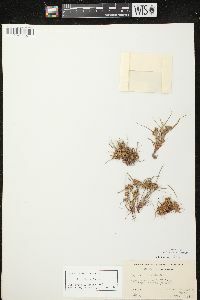 Annual herb with fibrous roots, tufted 2 - 16 cm tall Leaves: one to three, basal, alternate, 0.5 - 1 cm long, 0.5 - 2.5 mm wide, flat or V-shaped in cross-section, linear, parallel-veined, keeled beneath, with a sheathing base that encloses the stem. 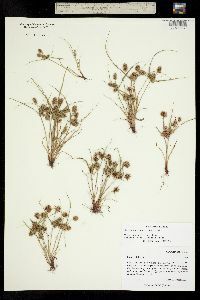 Inflorescence: a single terminal spike, 0.5 - 2 cm long, 9 - 15 mm wide, loosely to densely egg-shaped or oblong, consisting of six to twenty spikelets, subtended by spirally arranged leafy bracts. Bracts two to four, more or less upright, unequal, 1 - 15 cm long, 0.5 - 3 mm wide, all or some much longer than the inflorescence, V-shaped in cross-section. 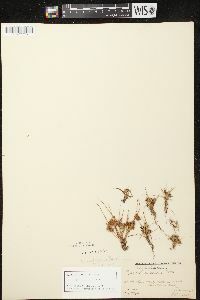 Rays (branches of inflorescence) zero or one to three, 0.5 - 4 cm long. Flowers: minute, in the axil of a floral scale, lacking sepals and petals. Stamen one, exserted, about 1.5 mm long. Anther under 0.5 mm long. Pistil one. Style and stigma about 0.5 mm long. Fruit: a one-seeded achene, short-stalked, light brown to almost black, to about 1 mm long and 0.5 mm wide, usually egg-shaped with a flat apex bearing a short point, three-angled, bumpy. Seed with a thin, non-adherent wall. 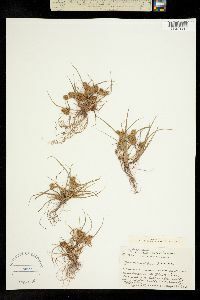 Spikelets: greenish to reddish brown, 2.5 - 10 mm long, 1 - 2.5 mm wide, somewhat flattened, egg- lance-shaped to oblong, subtended by two small bracts, with ten to twenty floral scales. Scales greenish down the middle, greenish to straw-colored or reddish brown along the sides, about 1.5 mm long and 0.5 mm wide, narrowly lance-shaped with a pointed apex bearing a 0.5 - 1 mm long bristle, seven- to nine-ribbed, lowest one empty. Culms: one to twenty, 2 - 16 cm long, about 0.5 mm wide, triangular in cross-section, solid. Habitat and ecology: Mud and gravel bars in streams and in ditches. Etymology: Cyperus is the ancient Greek word for sedge. Squarrosus means "having parts that are spreading or recurved at the ends." Infrequent in wet, sandy or muddy soil on bars in streams and ditches and on the shores of lakes and borders of sloughs. 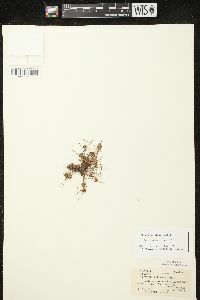 Specimens of this species when dried have a pleasing odor, similar to that of dried slippery elm leaves.